I’m running an Amiens, 1918 game for TGS in January. This is good, since we’ve yet to do anything outside of WWII… but it’s bad because we’ve yet to do anything outside of WWII so whatever’s going on the table is going to have to get built and painted between now and then. A confluence of motivations (including the above) has me running the game with Bolt Action (plus some modifications, beginning with lifting heavily from here) except in 15mm. Someone mentioned it (running BA in the smaller scale but keeping ranges, etc, the same) on the DAHGS list and it sounded really cool. Anyway, I made odd decisions sometimes. 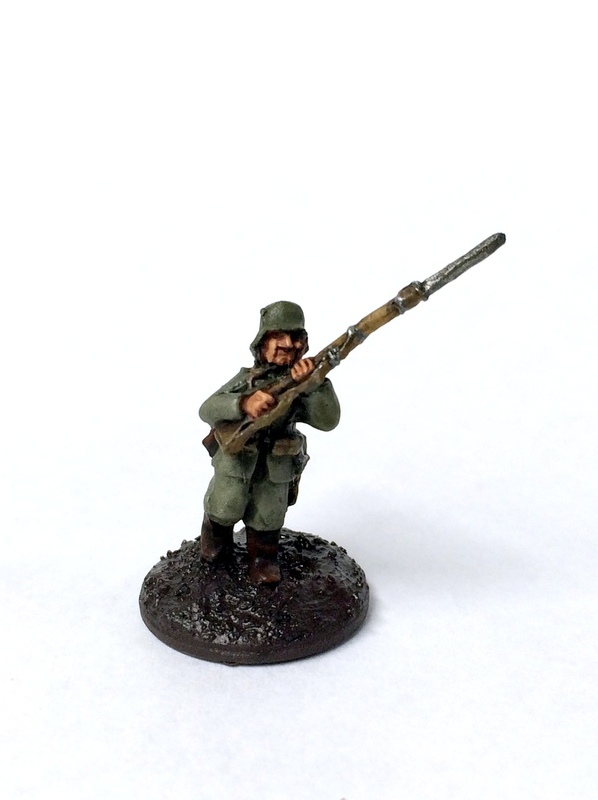 This is my (unbased) test model for the German infantry. I’d ask for C&C, but the color on this quick-cameraphone-photo doesn’t feel quite right so I’m not sure if it’s even worth asking for it. 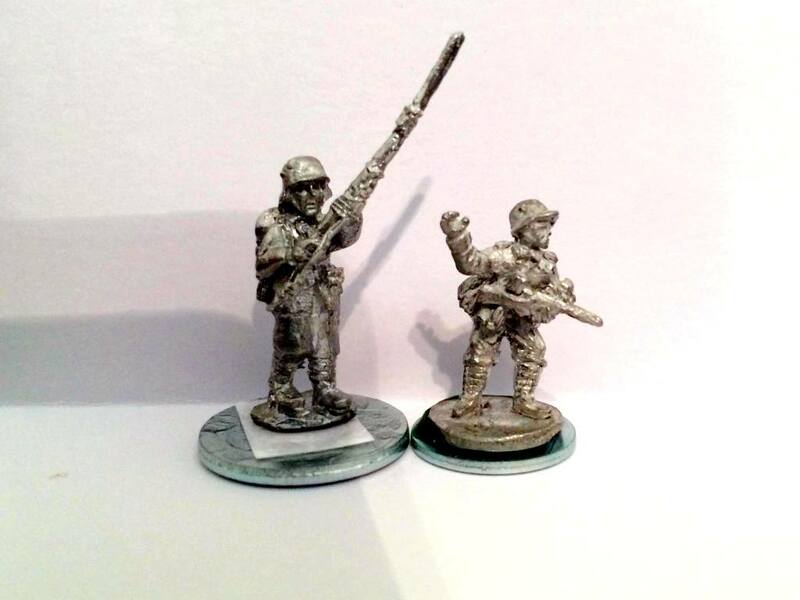 It’s possibly too green and not enough grey; it feels too close to looking like the WWII USMC I painted last summer, A different wash might help with that. However I proceed, if I can keep the approach about as complicated as this, I’ll be able to blow through these guys in no time. The hope is to blow through the Germans, maybe knock out the ones I have based for Flames of War while I’m at it then figure out how I’m going to tackle the Brits & Australians. This entry was posted in Warpstone Pile on 2015-09-22 by Rushputin.